If you’ve been through an upgrade in the past, you probably share the view of most organizations: Avoid it until absolutely necessary. However, what typically makes upgrading a nightmare is completely avoidable. Upgrading does not have to equate to lost productivity, resources, and money. In fact, a properly executed upgrade delivers long-lasting benefits to your organization. 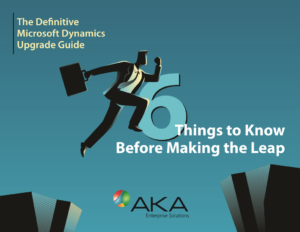 With upgrades come new technologies—like Microsoft Dynamics 365—that you can capitalize on to gain a competitive advantage.